Life is complicated enough with its ups and downs. The little things, though, are constant and ever-faithful. Sometimes, we just forget to look for them. Keeping things simple is best and that applies to food. Let’s talk about cookies. It is the holiday season, after all, but who has time to bake? Time seems to get away from me so quickly now. I keep setting eggs and butter onto the counter with every intention to bake only to return them to their chilly home in the fridge shortly after. Grab a big bowl and a couple of dinner spoons. Mix ingredients together until smooth. Roll tablespoons of dough into balls and place onto a baking sheet, 1-inch apart. Press down with the prongs of a fork to make that signature criss-cross pattern. Transfer to the hot oven and bake 7-8 mins, just until the bottoms are barely brown. Remove the baking sheet from the oven and let the cookies rest for 10 minutes. Transfer them to a metal rack to finish cooling. Enjoy warm with a tall glass of cold chocolate milk. C’est si bon, y’all, and so easy to make. I swear. I made a batch this morning before work. Some of my coworkers have soy and gluten allergies, so I was in the market for a good. but no-fuss recipe. 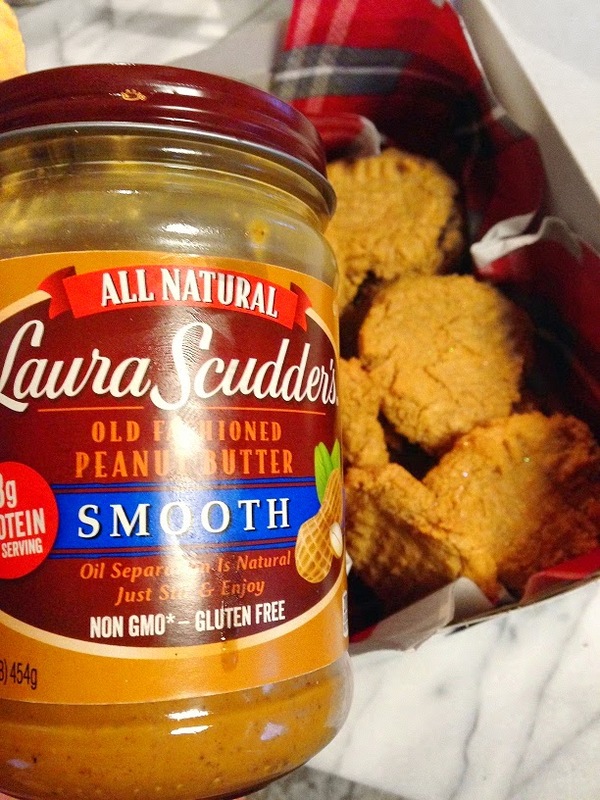 That is why I grabbed Laura Scudders peanut butter off the shelf. There is nothing but peanuts and salt in that jar. Trader Joe’s has pure peanut butter, too. Just so you know, neither Laura nor Joe paid me to tell you that. Could anything be more simple? 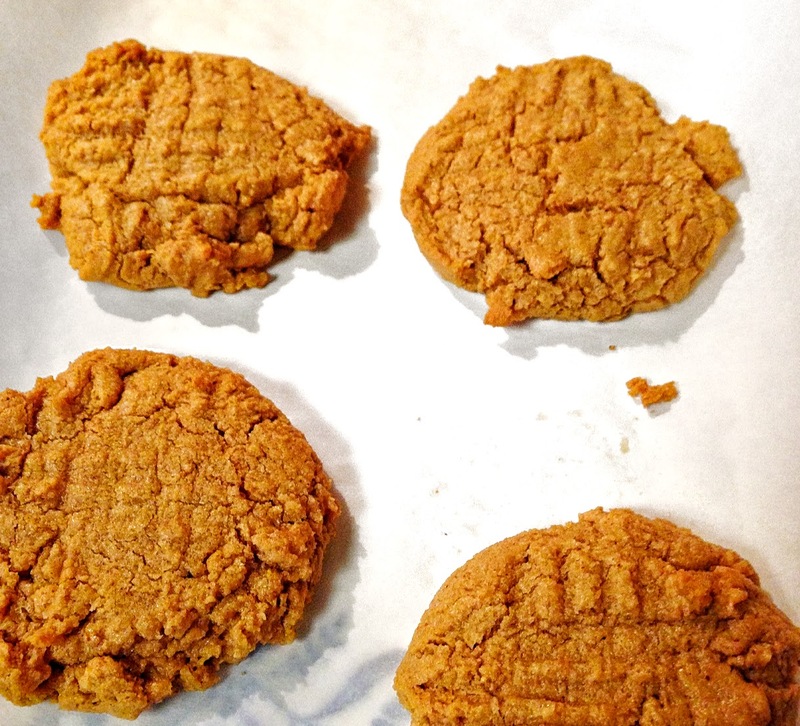 This is one peanut butter cookie recipe that is perfect for the kids. Easy, no-fuss and fun to make. No fancy ingredients. No machinery needed. Just a couple of spoons and a big bowl. Then you can sit down together and enjoy the fruit of your labor without stressing about anything. The holidays are really about spending time with the people who mean the most to you and that includes preparing the meal together. Tonight, Daisy and I are going to bake gingerbread cookie ornaments for our tree, but we will make a batch of these simple cookies on Christmas Eve. 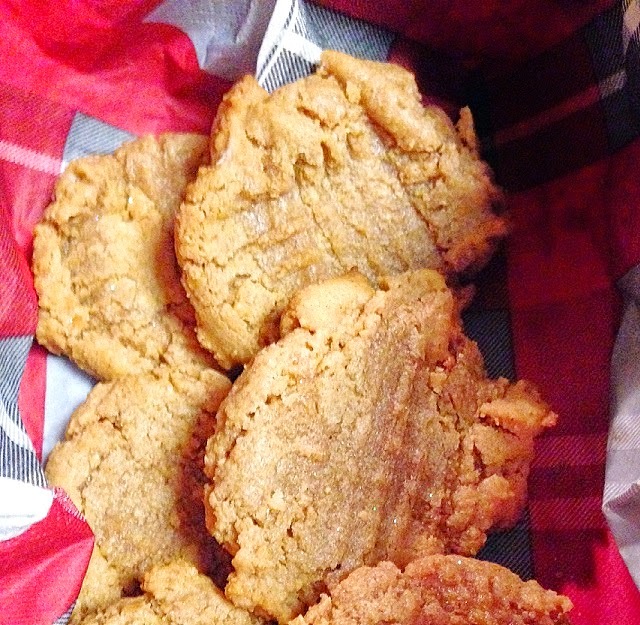 Daisy says Santa loves peanut butter cookies with that criss-cross pattern on top. She knows these things. Being a full-time mom, I miss out on a lot of the sweet little things and time seems to slip away from me so quickly as I watch Daisy grow in a blink of an eye. Even sitting on the couch with her in my lap, watching a cartoon is time well spent. Baking with my baby is meaningful when I’m alone in the kitchen. These are the treasured memories we create for ourselves during the holidays and carry with us all year. So, take someone you love by the hand and bake up a batch of these easy and delicious cookies together. 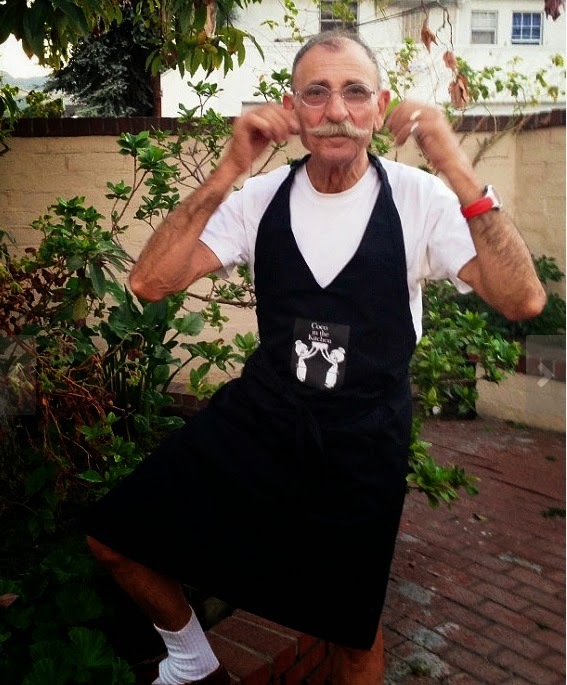 Don’t forget to enter to win yourself a spiffy stain-resistant tuxedo apron with my original Coco logo! The chef should always be dressed well. (Sorry, handsome model not included. He’s my dad and I’m keeping him. Well, could anything be easier? Lovely! Colette, this sounds like a lovely and uncomplicated coookie recipe! Just perfect for those little hands at this very busy time of the year! Wishing you a wonderful Sunday with your lovely family! Hope you try it, David. I think you'd love this, Andrea dear, perfect for baking w your beautiful kids. I know, Greg, it still amazes me that there's no flour in there. Ok, I totally will try these since Brynn can't have flour! 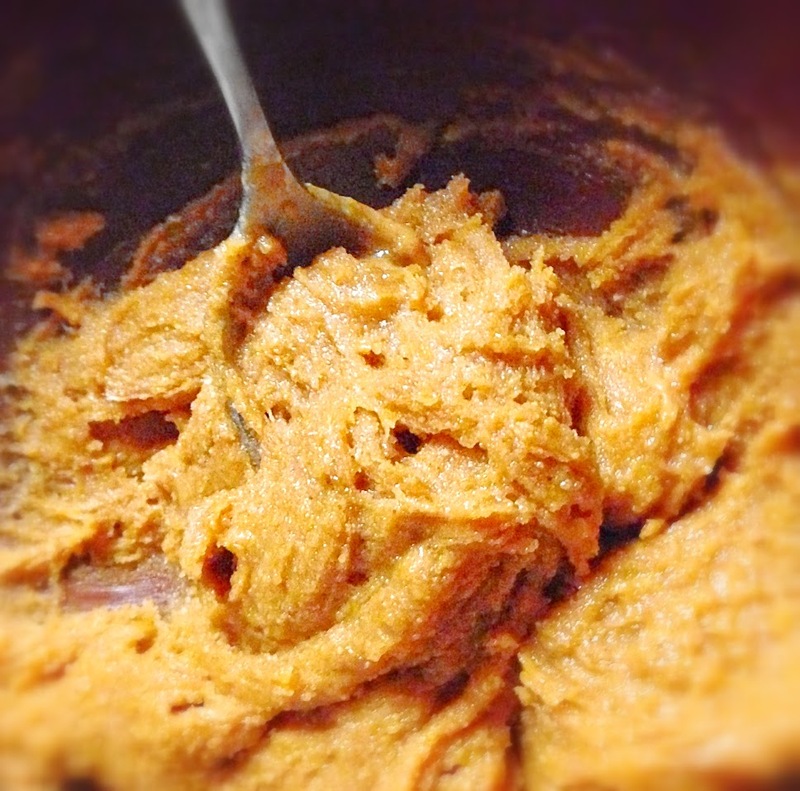 We have the five ingredient peanut butter cookie, so this is pretty cool to have less ingredients. You are a master chef and I'm so lucky to know you!